Is Medjugorje approved by the Church? Cardinal Camillo Ruini, head of the commission that investigated Medjugorje. During the pontificate of Benedict XVI, the Vatican adopted direct jurisdiction over Medjugorje in an unprecedented move. A commission was appointed to assess the apparitions under Cardinal Ruini, and remarkably, the commission, which met from March 2010 to January 2014, concluded in 2017 that the first seven apparitions were authentic. This was an exceptional breakthrough in terms of official recognition of an apparition. It was also unprecedented because the phenomenon is still in progress. Although Pope Francis has yet to officially release the Ruini report, the Pontiff, himself, confirmed in an interview that the Commission had reached this conclusion. In point of fact, the Pope had actually stopped attempts by the then Prefect of the Congregation of the Doctrine of the Faith, Cardinal Gerhard Müller, to block this judgment. The pope also asked that the Ruini report be sent to him for a review and determination, as opposed to Müller, who was originally set to receive it. The Church took another positive step toward Medjugorje when on May 31, 2018, Pope Francis appointed Archbishop Hoser as Special Apostolic Visitor to Medjugorje. The Vatican declared that Monsignor Hoser would take up residence in Medjugorje in his new role “for an indefinite period and ad nutum Sanctae Sedis,” which means “at the disposal of the Holy See.” In Medjugorje, where belief in the authenticity of the apparitions is long-held due to the daily conversions, long lines of confessions, and miracles constantly witnessed by the locals, the news of Archbishop Hoser’s new position was received with great joy. 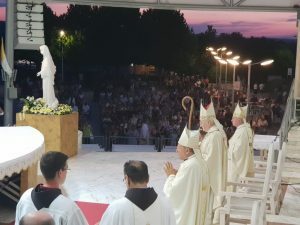 It can safely be said that Medjugorje now has received as much official recognition as it can receive, given that the phenomenon is still going on. It is well known that two of the most illustrious saints of recent times, St. Mother Theresa of Calcutta and St. Pope John Paul II, were ardent devotees of the Queen of Peace of Medjugorje. Thanks to them and millions of the faithful, Medjugorje’s message of repentance, reconciliation, peace, and penance has spread across the globe. 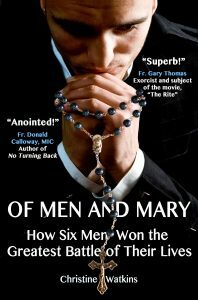 This article is excerpted from the Appendix of the new book, OF MEN AND MARY: How Six Men Won the Greatest Battle of Their Lives, by Christine Watkins. 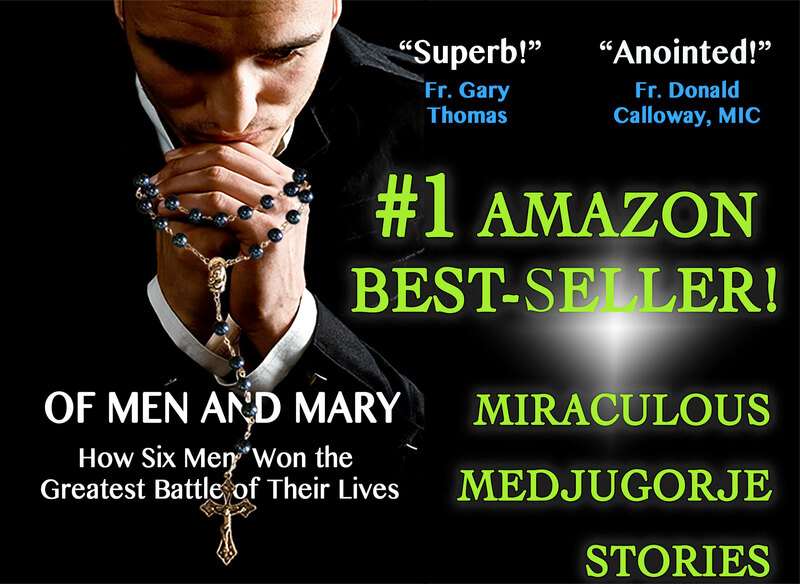 Click here for more information about the book: www.queenofpeacemedia.com/of-men-and-mary. 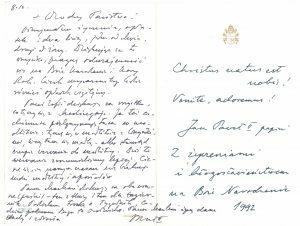 For the full text of this article, which gives more history of the Church’s stance on Medjugorje, click here. (Glas Koncila, August 15, 1993). Jesús Colina, “Official pilgrimages to Medjugorje are being authorized, confirms Pope Francis’ envoy,” Aletia, December 7, 2017, accessed April 29, 2018, https://aleteia.org/2017/12/07/official-pilgrimages-to-medjugorje-are-being-authorized-confirms-pope-francis-envoy/. Papal envoy, Archbishop Henryk Hoser Press Conference, April 5th, 2017, streamed live through MaryTV.tv and available for viewing at http://marytv.tv/daily-rosary-3-3/. MaryTV.tv. is a Medjugorje Internet TV channel that broadcasts 24/7 to help people stay connected to important ongoing events. Free apps are available for smart phones and Apple TV. Transcription of the press conference in Polish: “Konferencija za medije posebnog izaslanika mons. Henryka Hosera,” Medjugorje: Mjesto Molitve I Pomirenja, April 4, 2017, accessed April 29, 2018, http://medjugorje.hr/hr/novosti/obavijesti/konferencija-za-medije-posebnog-izaslanika-mons.-henryka-hosera,8795.html. 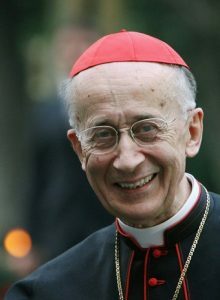 “Breaking News—Historic Moment in Catholic Church History…Vatican Special Envoy to Medjugorje: ‘Everything indicates that the apparitions will be recognized, perhaps even this year.’” Published at Deon.pl (Catholic News Site in Poland—8.18.2017), August 18, 2017, accessed April 29, 2018, https://mysticpost.com/2017/08/breaking-news-historic-moment-catholic-church-history-making-vatican-special-envoy-medjugorje-everything-indicates-apparitions-will-recognized-perhaps-even-year/. 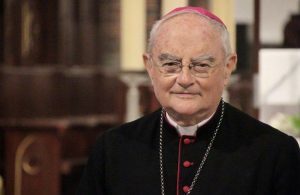 “Breaking News: The Vatican places Special Apostolic Visitor in Medjugorje—Archbishop Henryk Hoser,” www.medjugorjemiracles, accessed May 31, 2018, https://www.medjugorjemiracles.com/2018/05/breaking-news-the-vatican-places-official-representative-in-medjugorje-archbishop-henryk-hoser/. The call to live Mary of Medjugorje’s messages is urgent, and the call isn’t for tomorrow, but for now: pray with the heart, in particular the Rosary; go to Mass, go to monthly Confession; read the Bible, and fast on Wednesdays and Fridays. Is all of this easy? No. Is all of it possible? Yes. Click on the video below to hear Christine Watkins amazing testimony of conversion and to learn more about Mary’s messages. During the guided prayer meditation to Mary, you are encouraged to invite the Mother of God, herself, to speak to you, heal you, and guide you with her tender hand. Just as she came to everyone present at the conference, she will come to you. Christine Watkins, MTS, LCSW, was a professional dancer with the San Francisco Ballet Company and an atheist, lost in sexual sin and the New Age Movement, before her miraculous healing and conversion to Catholicism, which saved her from death. She is an inspirational Catholic speaker and the author of two popular books of Medjugorje conversion stories: Full of Grace: Miraculous Stories of Healing and Conversion through Mary’s Intercession and Of Men and Mary: How Six Men Won the Greatest Battle of Their Lives; as well as the highly acclaimed Transfigured: Patricia Sandoval’s Escape from Drugs, Homelessness, and the Back Doors of Planned Parenthood. See www.ChristineWatkins.com.